Elanee's Endeavors ! : Day 6 ~ Top Ten! The first time I started this challenge, (which was a couple months ago) I was really excited about this day 6 idea of making a list of top ten things God had done for me. As I thought about my list of top ten blessings, I began to write them down in a notebook, and before I knew it, I had filled a page worth of blessings from God. Since I had surpassed ten in a few minutes I was excited to see how many blessings from God I could think of before running out of ideas. I ended up spending about 30 minutes, and filled two pages of blessings from God and others. I still add things to the list when I think of them, and I'm so grateful for those lists that help me to see that everything in life is a gift from someone else! This is such an encouraging post! I have been wanting to start a "blessings book" in which I write all the wonderful things God does each day for me; now I should really start it! Thank you so much for sharing! What a wonderful idea. 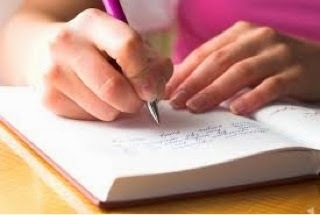 As soon as you start writing them down, a whole host of blessings flood your mind which you had not thought of before. I tried once, to write down every single blessing I had that wasn't necessary for survival; :) I gave up one I hit one hundred! I think there must had been over a thousand. That's so neat Christianna:) Yes! I agree with you, there are SO many blessings that we don't even think about that happen to us every day!